Hiya! Thank you for popping by. 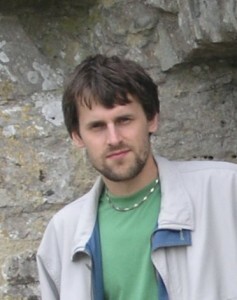 My name is Arvid Linde, I’m blogging from the (predominantly) sunny South East coast of England. I’m an independent SEO consultant, award-winning journalist, author of several books, an opinionated b#+! ?rd and a self-proclaimed cyberpunk. My hobbies include tech, motorcars and art. Fully managed SEO including the technical aspects, outreach and social media on rolling monthly contracts with no cancellation penalties. One-off health check for your website + help fixing the discovered errors. One-to-one consulting for DIY webmasters via phone, Skype or at your location (Kent or London only). Trobleshooting. Have you been hit by a search engine update and lost your traffic? I can help you do the clean-up! I also do competitor intelligence and keyword research. I’m the sort of person you’d need before launching a new website or re-making one that isn’t performing well. If you’d like to order my bespoke SEO/content report, please click here. I can help you uncover the most lucrative niches, tell you who your real competitors are and outline the reasons why they rank where they rank and what you should do to outrank them. Please get in touch to discuss your requirements. And did I mention the award? I guess I did. Here’s what my publisher had to say about it. The purpose of buzzkeep.com is to share amazing stuff about great people around the world, so don’t be a stranger, say hello and tell me about yourself!